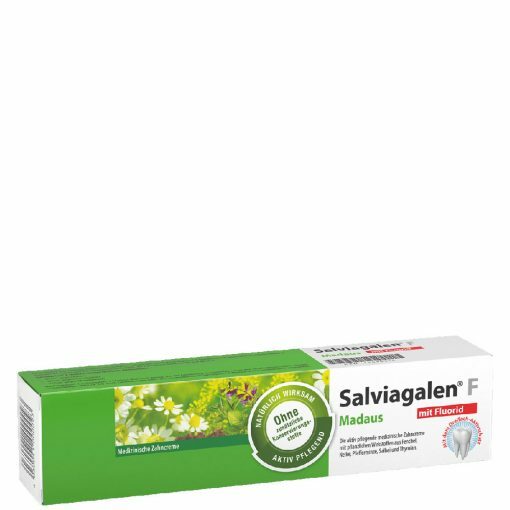 The Salviagalen F Toothpaste works with high-quality active ingredients from nature, such as fennel, thyme, sage, peppermint, chamomile and clove anti-inflammatory and bacteriostatic to protect against tooth decay, periodontitis and bad breath. Ideal for sensitive teeth and necks. The mineral fluoride also increases the resistance of the enamel, adds to the fluoride content of the teeth and provides additional melt hardening. My daughter is vegan and therefore always looking for good vegan products. I doublechecked at Madaus and they have assured me that the product is vegan. My daughter is excited about the toothpaste, now I have ordered her a two tubes.